Concerns over immigration and the rise of the far-right in Spain are fuelling tensions at one of its most important festivals, the Día de la Toma in Granada. And as a new study reveals, music has become a key battleground. Street performer in Granada. Courtesy of Shadowgate under a Creative Commons license. Every year, on 2 January, thousands of people in the Andalusian city of Granada celebrate the Día de la Toma [Day of the Taking]. The controversial festival marks the final surrender of the Alhambra fortress in 1492 by Granada’s last Muslim ruler, Abū ‘Abdi-llāh Muḥammad XII (also known as Boabdil), following a truce with the Catholic monarchs Isabella of Castile and Ferdinand of Aragon. Francisco Pradilla Ortiz, La Rendición de Granada (oil on canvas, 1882). Held in various forms for at least 500 years, the Día de la Toma has a chequered past but is now a pressure cooker of religious and political tension. This year, as a University of Cambridge researcher discovered, developments entered a new phase. Fearing the potential for civil unrest, the authorities in Granada banned the use of megaphones at this year’s festival as well as the display of far-right flags and racist slogans. While largely effective, these measures could not prevent groups from across the political spectrum using the event to advance their causes. Vox, which in 2018 gained twelve seats in the Andalusian regional parliament – the first far-right wing party to receive political representation in Spain since the Franco regime – used the event to denounce the Muslim history of Spain on social media. 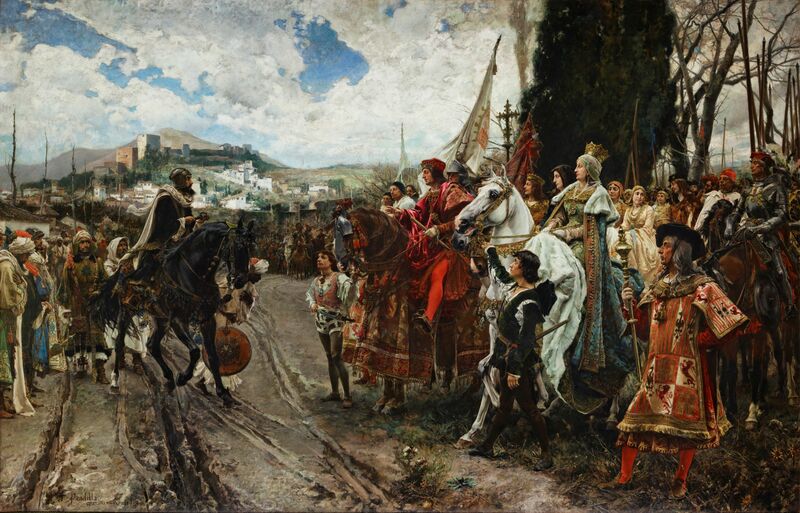 The party tweeted: We do not want to, nor should we forget, that today 527 years ago [was] the liberation of Granada by the Spanish troops of the Catholic Kings, putting an end to eight long centuries of reconquest against the Muslim invader. 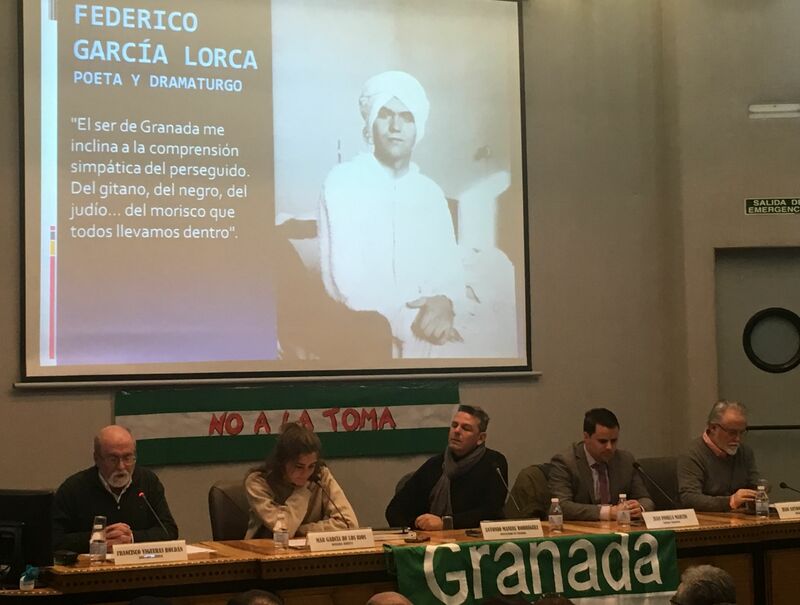 Even more provocatively, the party’s Granada office retweeted the words: On 2 January 1492 the Taking of Granada took place in which the last Islamist stronghold was expelled from the Peninsula. We should feel proud of our history and prevent the same invader from trying to dominate us again. 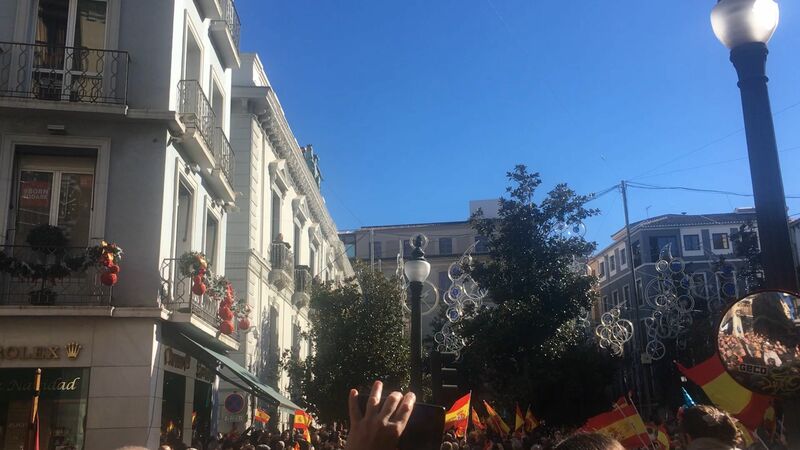 Meanwhile, the conservative Partido Popular [Popular Party] distributed 4,000 Spanish flags in the city and Granada Abierta [Open Granada] once again staged No a la Toma [no to the taking] to denounce the festival as a falsification of history, a symbol of intolerance and a mouthpiece for neo-fascism. Matthew Machin-Autenrieth, an ethnomusicologist from the University of Cambridge, visited Granada on 2 January to study these developments with a particular interest in the role played by music and sound. Many Spaniards celebrate Día de la Toma because it marks the unification of the Kingdoms of Castile and Aragon which, some believe, paved the way for the modern Spanish nation state. But it also led to the expulsion of the city’s Jewish community and Muslims being forced to convert to Christianity. The Día de la Toma begins with a military procession and the carrying of regalia associated with the Catholic monarchs from the town hall at the Plaza de Carmen to the cathedral. Following a religious service and the raising of the royal banner in the cathedral, the procession moves back to the Plaza de Carmen where huge crowds gather flying Spanish flags. The culmination of the event is the famous ‘¡Granada que!’ proclamation which echoes out across the town square from the balcony of the town hall. 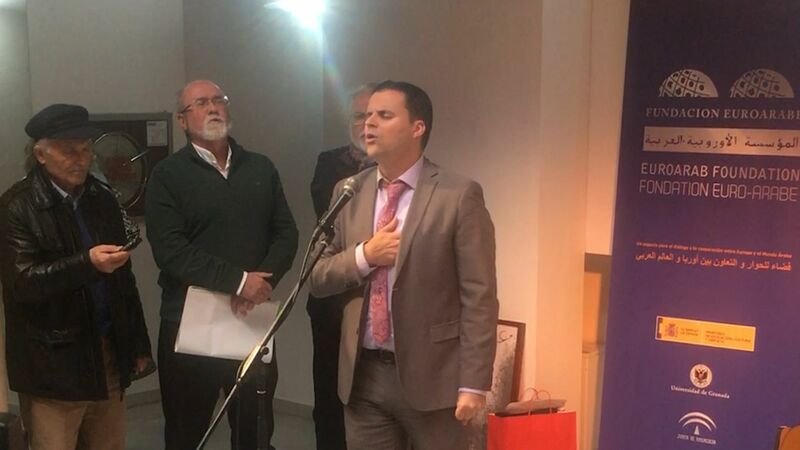 The ‘¡Granada que!’ proclamation, 2019. 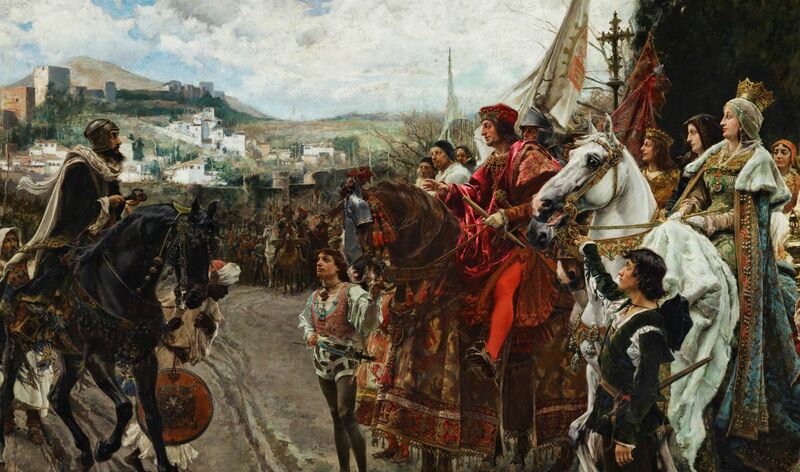 This year’s event, as in the past couple of years, was followed by a parade of ‘Moros y Cristianos’ [Moors and Christians] through the city, a folkloric procession meant to depict the two sides who battled prior to the fall of Granada. 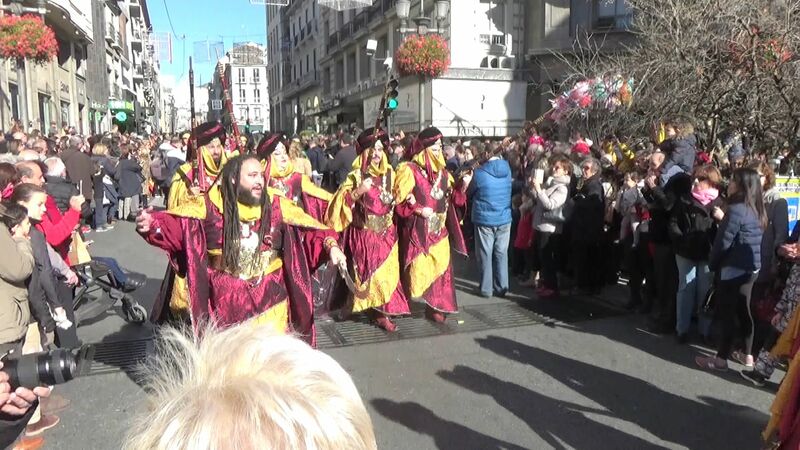 Parade of ‘Moros y Cristianos’ in Granada, 2019. 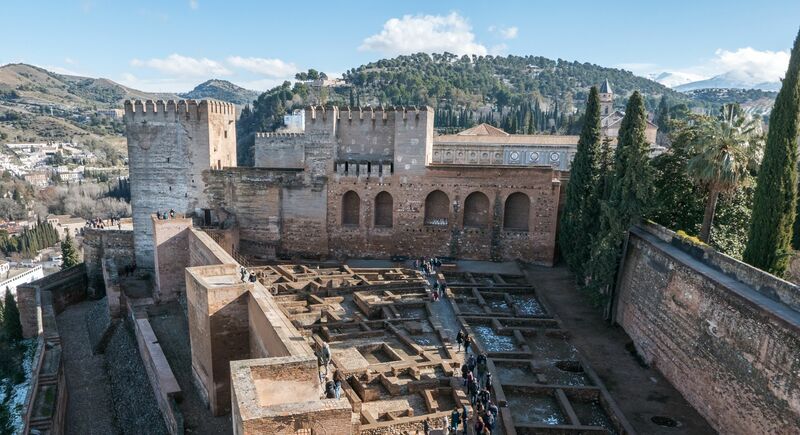 To cap off the festivities, the alcazaba [fortress] of the Alhambra palace is opened to the public so people can ring the bell in the Torre de la Vela, which sounds out across the city. According to legend, if a virgin wants to marry within the year, they will be blessed by ringing the bell. 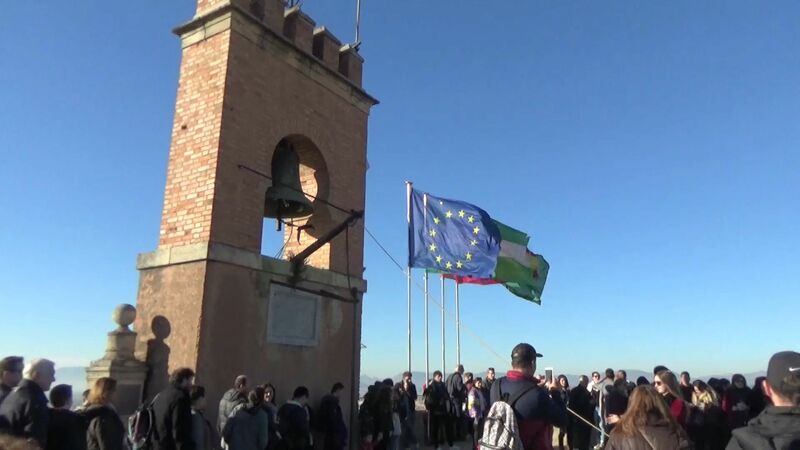 Ringing of the bell in Granada&apos;s Torre de la Vela, 2019. At first sight, the event might appear harmless enough. For many granadinos [locals] it is simply a traditional festival that marks an important point in local and national history and, if nothing else, it constitutes a ‘fun day out’. But increasingly the festival has become a platform for political protest, reflecting the deep divisions within Spanish society. Since the Franco dictatorship, the festival has become a platform for the promotion of far-right and fascist ideologies. In recent years, some groups attending the festival have exhibited strong nationalist sentiments, a desire to reclaim Spanish history and to push an anti-immigration agenda in a city that has a large Moroccan and Muslim population. There is significant opposition to the festival. Some groups argue that the Día de la Toma is a falsification of history not least because it skirts over the fact that the Catholic monarchs failed to uphold the so-called ‘Treaty of Granada’, a pact with Boabdil that Muslims would be granted religious freedom in exchange for the surrender of the Alhambra. Now that Spain has entered a new era of political sensitivity and debate about national identity, opposition groups oppose the energy which the event appears to give to the far-right and neo-fascism. But the festival also involves a clash of territorial interpretations of history, setting those that promote the unification of Spain against those who promote the regional autonomy of Andalusia, Spain’s southernmost ‘autonomous community’. Spanish and Andalusian flags. Courtesy of Elliott Brown under a Creative Commons license. So-called andalucistas – who advocate for regional autonomy, and in some cases, even independence – usually oppose the Día de la Toma on the grounds that it celebrates the imposition of one religious culture, Catholicism, over the religious pluralism which they associate with Andalusia’s past. It is this idea of historical multicultural diversity that, in many respects, defines Andalusian regionalism. 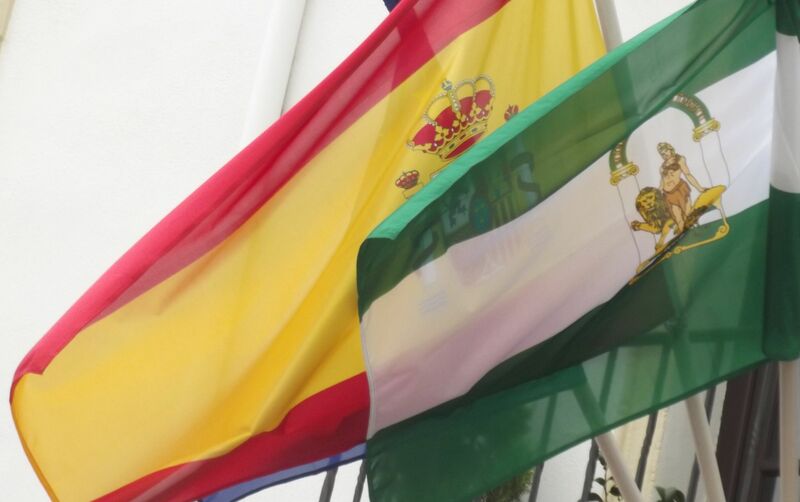 Every year, protests throw these divisions into sharp relief, with many of the festival’s detractors waving green and white Andalusian flags as a symbol of opposition. This year, they sang “¡yo soy andaluz, andaluz, andaluz!” [I am Andalusian!] and shouted “¡dos de enero, nada que celebrar!” [2 January, nothing to celebrate!]. The Día de la Toma has a prominent soundtrack. At various times and locations across the city, you can hear sonic markers of history and political protest. These range from Spanish and Andalusian anthems (see clip below) to fascist songs from the Franco regime, chants of protest, the sounds of military parades, flamenco and the bell of the Torre de la Vela ringing out across the city. All are loaded with symbolism and, at times, they carry serious political clout. Juan Pinilla, a Granada abierta supporter, peforms the Andalusian anthem in 2019. As an ethnomusicologist, I’m fascinated by how music, and sound more broadly, relates to wider political issues in society. My research focuses on how music-making in Spain might act as a vehicle for intercultural dialogue between Spaniards and Moroccans, drawing on the idea of a shared musical history. I am also interested in how flamenco, Andalusia’s foremost cultural icon, is used by institutions and musicians to promote cultural diversity and interculturalism. I became interested in the Día de la Toma because of the movement Granada Abierta [Open Granada], which opposes it. Underpinned by a strong left-wing and andalucista agenda, Granada Abierta aims to transform the festival into a celebration of tolerance and social integration, and to move towards its demilitarisation and secularisation. I attended their No a la Toma event to explore how music has become such an important part of Granada Abierta’s ideological foundations and opposition to the main festival. Flamenco in Granada. Courtesy of Veyis Polat under a Creative Commons license. Beyond the exotic symbolism of dark-haired Gypsy dancers and polka-dot dresses that fulfil the touristic imagination, flamenco has a deeply-entrenched political dimension that is closely associated with left-wing ideology and Andalusian regionalism. 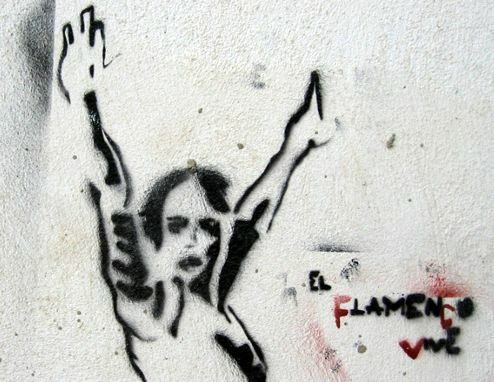 During the Spanish Second Republic (1931–39) and the intervening Civil War (1936–39), flamenco became a symbol of Republicanism and political protest to the extent that it was strictly censored and ‘depoliticised’ during the Franco regime. And, since the late nineteenth century, flamenco has been strongly associated with the movement for Andalusian autonomy, often being viewed as the ultimate symbol of regional identity. Flamenco graffiti in Granada. Courtesy of Diodoro under a Creative Commons license. Many people view flamenco as a complex mixture of Arab, Jewish, Gypsy, African and Latin American influences. And because flamenco primarily originated in Andalusia, it is often considered the musical by-product of the region’s multicultural past, and the intercultural legacies of al-Andalus. This is what makes flamenco such a powerful symbol for the No a la Toma event and what inspires Juan Pinilla, a local singer and Granada Abierta supporter, to perform every year. 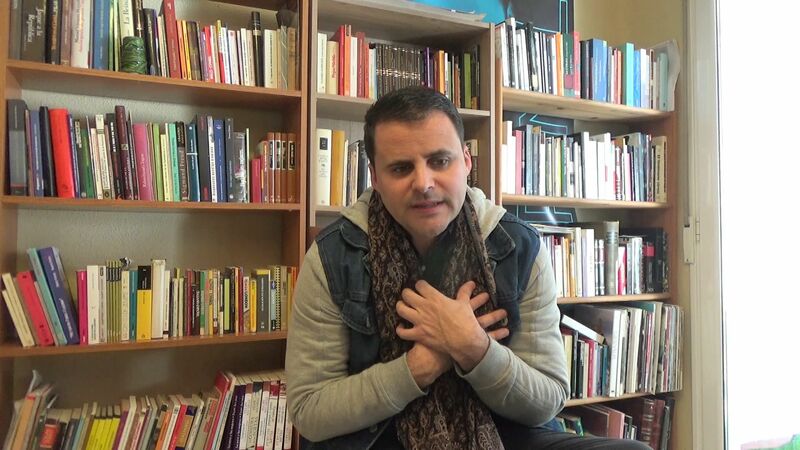 During my visit, I interviewed Juan and he passionately explained why he felt flamenco was so relevant for promoting a more inclusive vision for Granada. In sonic opposition to Franco-era anthems that are sometimes sung at Día de la Toma, Juan believes that flamenco provides the perfect soundtrack to denounce the festival, a festival that he feels opposes the multicultural past and present of Granada. Juan and his fellow No a la Toma supporters seek to bring the past into dialogue with the present through music. Juan Pinilla, a local singer and Granada Abierta supporter, 2019. Considering the central importance of Muslims to this story, you might be wondering where this community now stands on 2 January. I should first point out that the tourism industry in Granada is built on its Muslim past and the notion of peaceful religious coexistence in al-Andalus. Granada’s large Moroccan community, which is often visible in the ‘oriental’-themed streets in the old Muslim quarter known as the Albaicín, underpins this. But more than this, many of these people claim ancestry to medieval Spain and the Moriscos [Moorish] – Muslim ancestors forced to convert to Christianity – that resided in the Peninsula following the fall of Granada in 1492. 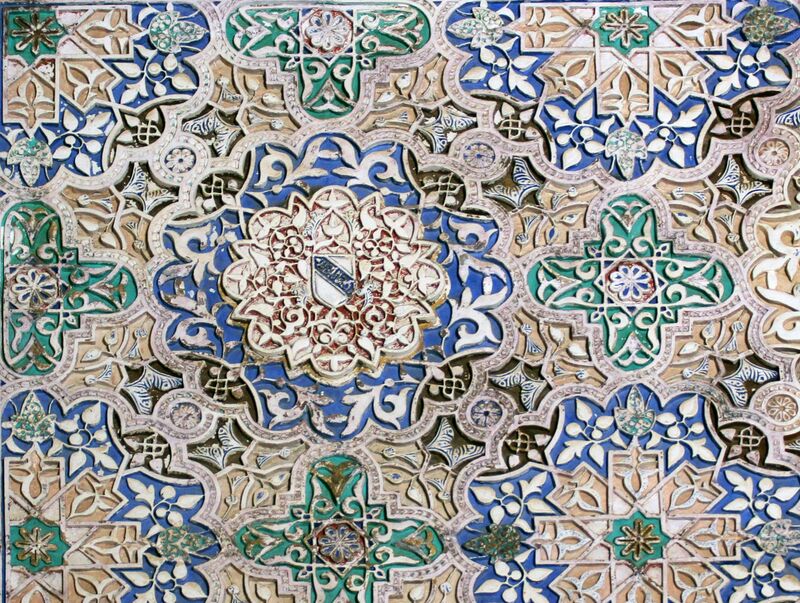 Decoration in the Alhambra, Granada. Courtesy of Tony Hisgett under a Creative Commons license. Given that the Día de la Toma celebrates the Catholic reconquest and due to the presence of far-right groups that sometimes chant anti-immigration and anti-Muslim slogans, it is hardly surprising that many Moroccans steer clear of the festival. By contrast, some do take part in the No a la Toma event, particularly through musical performance and fusions between flamenco and Moroccan ‘Andalusian’ music. These two genres are said to share common historical origins and structural similarities. Whether this is accurate is, in a sense, irrelevant. 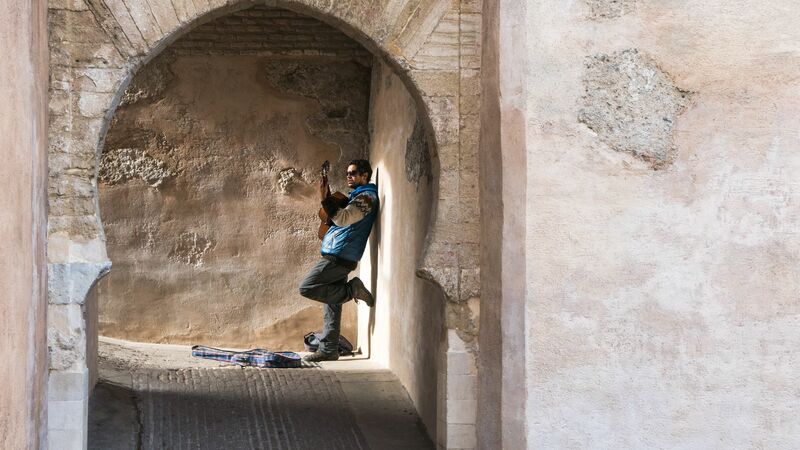 What is relevant is that Granada Abierta encourages musical and cultural connection between Spaniards and Moroccans, even if the latter are not yet equally represented or empowered. To be a Granadan leads one towards a sympathetic understanding of the persecuted: the Gypsy, black people, the Jew and the Morisco that we all carry within us. For Lorca, flamenco was a key marker of this mixed cultural identity and history, an identity and history that continue to split national and regional loyalties in Spain. No a la Toma panel discussion in Granada, 2019. Courtesy of Matthew Machin-Autenrieth. The political tensions surrounding the Día de la Toma appear to be intensifying. The contentious political climate, the rise of the far-right and tense debates regarding immigration across Spain and Europe will continue to influence this superficially innocent annual celebration. And music will remain on the front line because it so effectively distils opposing viewpoints, historical interpretations and identities. Full films of the interview and concert are available here. 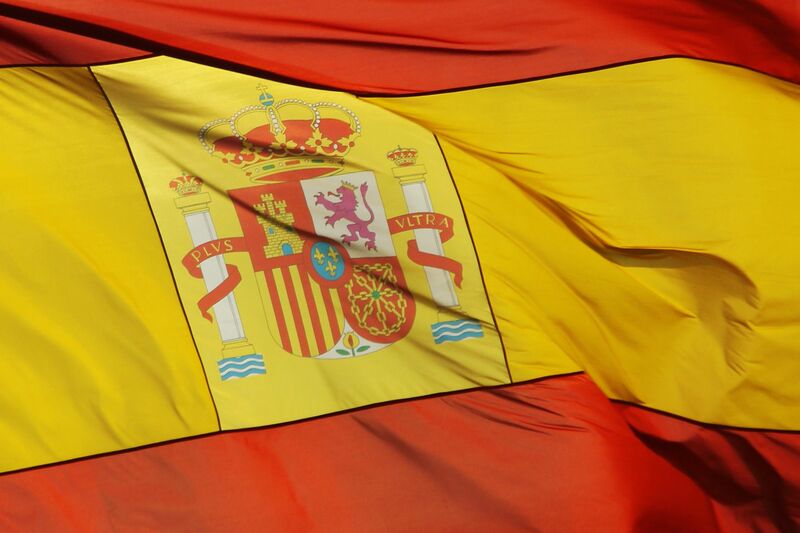 Spanish flag. Courtesy of Elentir under a Creative Commons license. 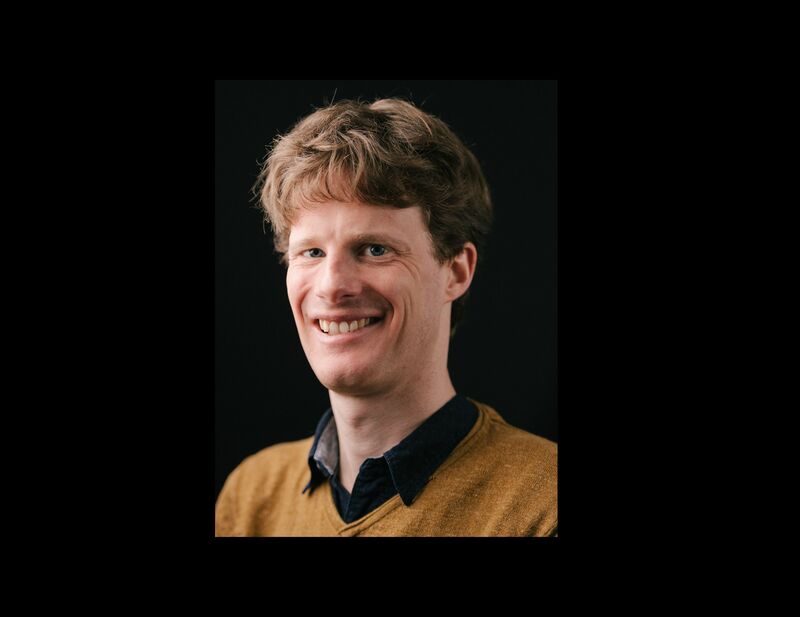 Matthew Machin-Autenrieth is a Senior Research Associate at the Faculty of Music and the Principal Investigator for the European Research Council-funded project ‘Past and Present Musical Encounters across the Strait of Gibraltar’ (2018–23). This project will explore how the notion of a collective European-North African cultural memory has been articulated through music for different sociopolitical ends in colonial and postcolonial contexts.